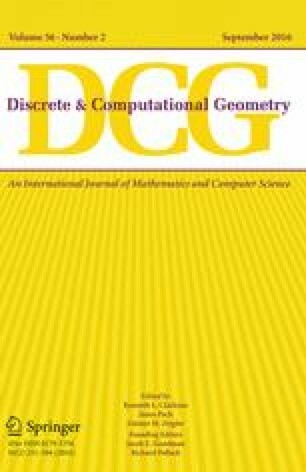 One can compute an approximate bi-criteria k-center clustering of the point set, and more generally compute a greedy permutation of the point set. One can decide if a query point is (approximately) inside the convex-hull of the point set. N.K. would like to thank Anil Gannepalli for telling him about Atomic Force Microscopy. The full paper is available online . Work on this paper by S. Har-Peled was partially supported by NSF AF Awards CCF-1421231, and CCF-1217462. Work on this paper by N. Kumar was partially supported by a NSF AF Award CCF-1217462 while the author was a student at UIUC, and by NSF Grant CCF-1161495 and a grant from DARPA while the author has been a postdoc at UCSB. Work on this paper by D. M. Mount was partially supported by NSF Award CCF-1117259 and ONR Award N00014-08-1-1015. Work on this paper by B. Raichel was partially supported by NSF AF Awards CCF-1421231, CCF-1217462, and the University of Illinois Graduate College Dissertation Completion Fellowship.